“It was not an option to try to have 14 more (children). But we loved her enough to choose life for her by embryo adoption.” Those are the words of Melissa Eggleton when asked by Al Jazeera News why she chose to donate her remaining embryos to another family. After giving birth to a set of twin girls and a son through the help of IVF, the Eggleton’s knew their family was now complete. But with 14 unused embryos remaining in frozen storage Mike and Melissa had some difficult decisions ahead of them. 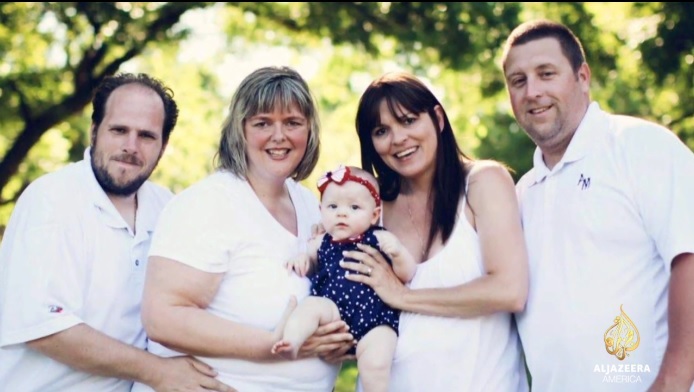 The Texas family selected to donate their embryos through the Snowflakes Program and were matched with Lynda and Chip a Wisconsin couple struggling with infertility. Lynda and Chip adopted the Eggleton’s remaining embryos and after a Frozen Embryo Transfer, became pregnant. The result is Callie, a 17-month-old girl who Lynda and Chip describe as their “Dream Baby”. To learn more about Embryo Adoption and the Snowflakes Embryo Adoption Program please visit Snowflakes.org.